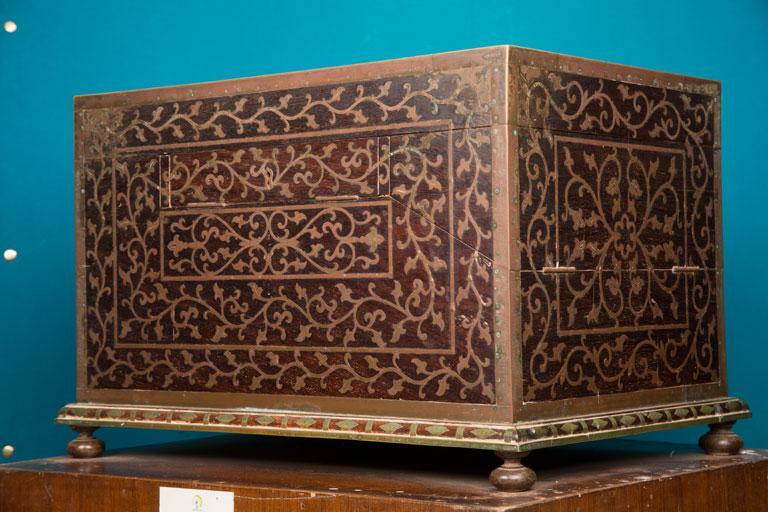 Jewellery boxes are used in royal families to store their exclusive collection of jewellery. Inside this rectangle shaped jewellery box there are specific spaces allotted for different types of jewellery. The box is made attractive with the unique designs on its body. 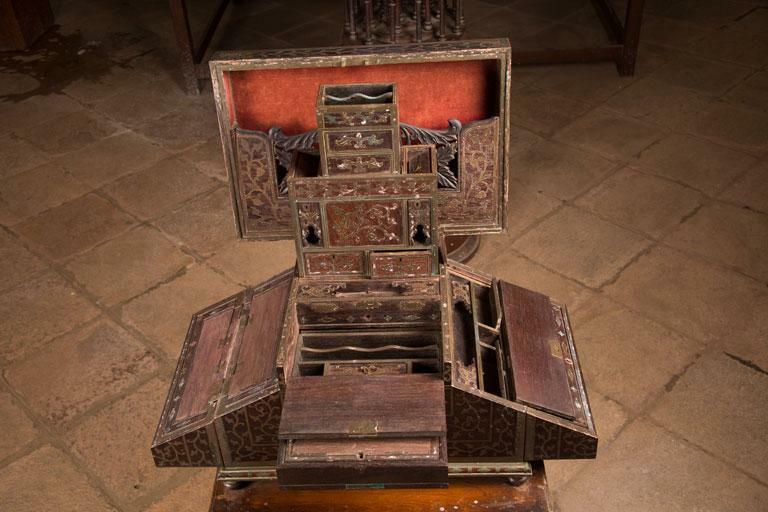 That the jewellery box is made of wood with brass inlaid is another peculiarity.